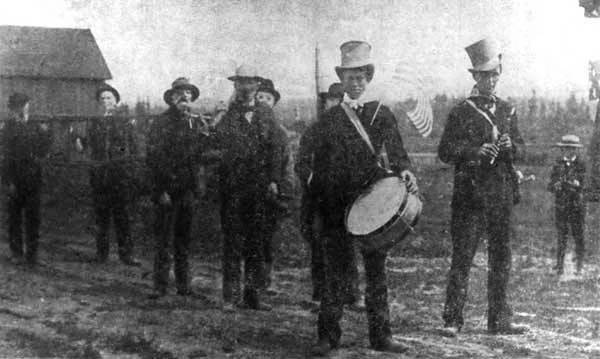 Eight men, Beaverton's first hook and ladder fire fighting company, are marching in a July 4 parade on an unpaved street. Pictured are Earl Fisher, fife; Earl Evans, drum; Walter Chatterton, cant hook; Harry Summers, ladder. Other men are not identified.